Cosmetic Tattooing has taken the world by storm. Women in Perth can now experience the confidence that comes when you “Wake Up in Your Make Up”. Cosmetic Ink , Semi-Permanent Make Up and Cosmetic Tattooing have Revolutionised the Beauty and Cosmetic Industry. This process involves the insertion of Natural Pigmentation into the skin by a qualified professional which allows you to transform your look and cut your daily morning routine in half. Pigmentation is different to regular tattoo ink, it is non toxic and will naturally fade over time giving the client the ability to change the colour or shape at their touch up appointment if required. Results last 2-3 years but most clients opt to return yearly for a touch up so they can tailor their shape and style over the years. 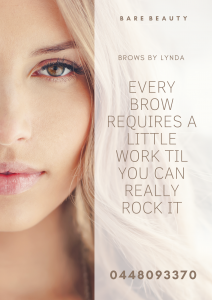 Internationally in Microblading and Ombre’ Brows, Advanced Eyebrow training and cosmetic tattooing, Lynda is also qualified in blending the colours of pigmentation to tailor their work to your exact skin tone. This is a point of difference for Bare Beauty Ink as most technicians apply premixed colours which results in the un-natural results you may have witnessed around Perth. 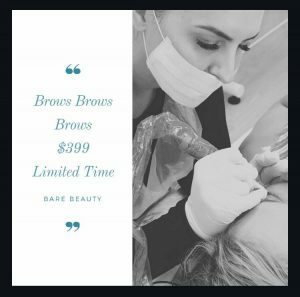 While these Transformations are not new to our Qualified Artists as this is a new service for Bare Beauty Perth we are offering a very special, very limited offer to celebrate. 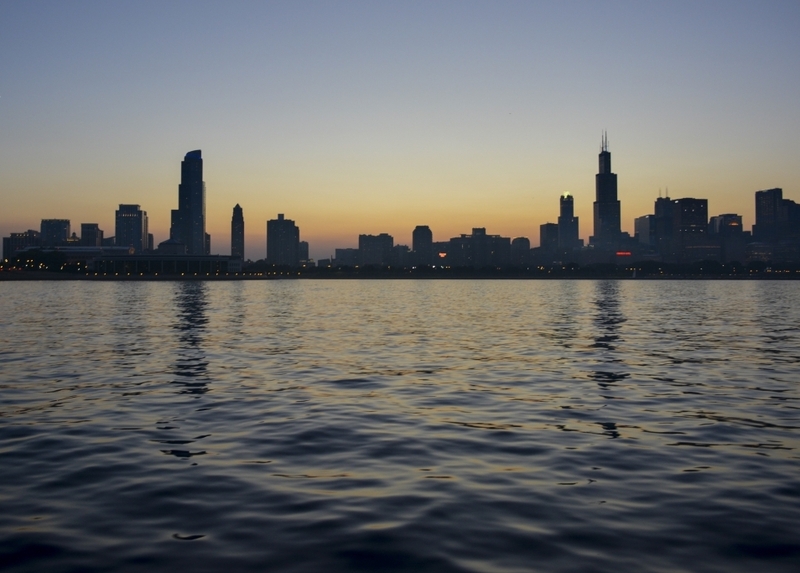 Click Below to Book Online Now before it’s too late. If you have noticed slight changes to your shape or colour you think would improve your look we will take care of every concern at this session. This is booked in for 4-6 weeks after your first session, all brows take two sessions to get the perfect results. The secret behind eye liner is its ability to make your eyes look bigger and your face symmetrical. Never have to bother with this again. While women have to return for Collagen Lip Fillers every 2-3 months your Cosmetic Tattoo Design will last for years. Not only will the increased outline of your lips give Volume and Definition you can also select a colour and eliminate the frustration of lipstick from your life.